Sometimes the fairy chimneys will appear before you covered with snow, sometimes dored with wild flowers. If you are devoted to winter sports, Mount Erciyes and its ski center, only 45 minutes away, can provide you with the best possible opportunity to satisfy your indulgence. You can visit Cappadocia for three days, but bear in mind that you may want to remain there for weeks! You will see the Monastery of Monks and Nuns on the left in the Goreme Open-Air Museum. The monastery dates to the eleventh cetury and consists of a six to seven storey rock mass. The structure in which all the levels are connected by tunnels consists of a kitchen, dining room, cells and a chapel. 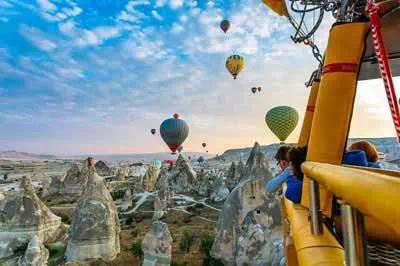 There are so many places to see in Cappadocia, there is a lot to do. 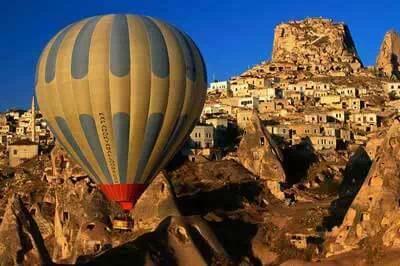 It's not posiable to exploring Cappadocia for a few days, a few weeks or months. 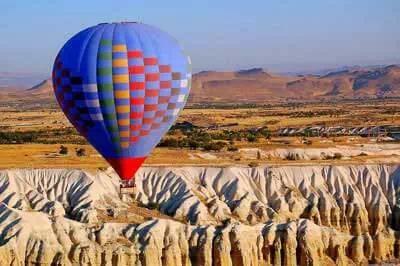 This is list of the possible and essential places for tourists who come to visit Cappadocia in a short time. Cappadocia has many deep valleys of which some were Christian hideouts, but Ihlara Valley is the most well-known out of them all. Formed by earthquakes thousands of years ago. Uchisar is situated at the highest point in the region, the top of the citadel provides a magnificent panorama of the surrounding area. The castle gives off an amazing 360-degree panoramic view over the whole region including Mount Erciyes in the distance. 2-day tour, which will take you from Devrent Valley to Pasabag and Avanos, Uchisar Castle and Goreme Open Air Museum, Rose Valley hike, and more.